In a big day of offense, four St. Louis Cardinals affiliates scored double-digit runs as the system went a perfect 7-0. Johnson City’s Kevin Woodall is our Player of the Day for his three home run, six RBI evening. Recaps of games played on Wednesday, July 18. The Wednesday game at AutoZone Park between the Iowa Cubs and Redbirds was postponed due to rain. The teams will play a doubleheader on Thursday, with the first game set to start at 5:05 PM Central time. Dakota Hudson (12-2, 2.42) will start the opener, and Kevin Herget (6-6, 3.80) is in line to take the ball in the second game. With stellar starting pitching and run support early, the Cardinals withstood a late Naturals rally and won Wednesday’s game at Hammons Field by a 10-6 score. Austin Warner earned his first win at the Double-A level with seven scoreless innings. Warner shut the Naturals out to four hits and fanned five batters in his longest outing for Springfield in five starts. In relief, Ramon Santos was rocked for six earned runs across 1 2/3 innings – including five in the top of the ninth. Hector Mendoza recorded the final out for the Cardinals. At the dish, right fielder Randy Arozarena shined in his first game back from Memphis. His 4-for-4 night included two home runs, four runs scored, and four driven in. Third baseman Evan Mendoza and first baseman John Nogowski each had two hits, and Nogowski and center fielder Lane Thomas batted in two runs apiece. In addition to Arozarena’s two homers, Springfield also benefitted from long balls by Thomas and left fielder Johan Mieses. 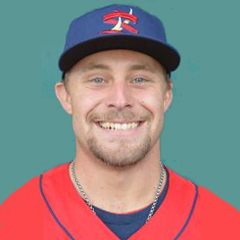 Thursday’s game: Sam Tewes (0-2, 4.82) at NW Arkansas Naturals, 7:10 PM Central time. With five unanswered runs across the fifth and sixth innings, Palm Beach enjoyed a 7-6 comeback victory over the Flying Tigers at Roger Dean. Third baseman Danny Hudzina, center fielder Chase Pinder, and right fielder Dylan Carlson all went yard for the Cardinals on Wednesday. Carlson and catcher Brian O’Keefe each batted in two runs. In fact, it was Carlson’s home run (a two-run shot) that put Palm Beach up by a run in the bottom of the sixth inning, a lead that the Cardinals’ pitching staff could work with. Starter Evan Guillory had a shaky outing, touched for five earned runs on 10 hits in 3 2/3 innings. Reliever Colton Thomson logged two outs and allowed a run before a trio of pitchers handled the remaining pitching duties very well. Estarlin Arias worked 1 2/3 innings and earned the win, his first with Palm Beach this year. Jacob Patterson followed with a scoreless seventh to get his 10th hold, and Eric Carter pitched the final two frames to notch his third save. Thursday’s game: TBA vs. St. Lucie Mets, 5:30 PM Central time. Holding the Lugnuts scoreless until the game’s final frame, the Chiefs held on for a 4-2 win in Lansing on Wednesday. 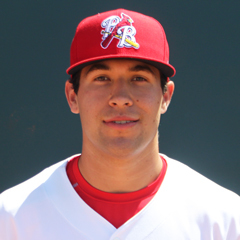 Chiefs starter Alex Fagalde improved to 5-3 this season after six scoreless innings. Fagalde fanned four batters and lowered his earned run average to 1.93 in 10 games (nine starts) for the Chiefs this year. Following Fagalde was Robbie Gordon, who worked two scoreless innings before Brian Dobzanski pitched the ninth inning. Peoria’s three- and four-hole hitters did the damage, as designated hitter Elehuris Montero and catcher Dennis Ortega each drove in two runs. Ortega had three hits and the only extra-base hit (a double) for either team, though the two sides totaled 16 hits. Right fielder Bryce Denton and shortstop Rayder Ascanio had two hits. Thursday’s game: Angel Rondon (1-0, 1.17) at Lansing Lugnuts, 6:05 PM Central time. In a lopsided affair, the Spikes came out on top of a 12-3 game at the West Virginia Black Bears. It was 13-19 State College’s second straight road win after a rough 1-5 homestand. All players in the Spikes’ starting lineup recorded at least one hit, eight of the nine starters scored, and seven of the nine drove in at least one. 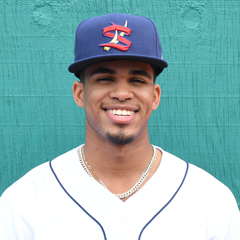 Spikes shortstop Delvin Perez hit his second triple of the season and drew three walks to pair with two runs batted in and a stolen base – his fourth of the year. Left fielder Lars Nootbaar and third baseman Edwin Figuera had three hits each, and Figuera, first baseman Stanley Espinal, center fielder Wadye Ynfante, and catcher Alexis Wilson all scored a pair of runs. The team combined to go 9-for-19 with runners in scoring position and (despite scoring a dozen runs) stranded 13 base runners. Spikes starter Chris Holba punched out eight batters in his four-inning outing, during which he allowed all three runs. Winston Nicacio pitched a scoreless fifth inning and took home the win, his first in three decisions this season. Michael Baird earned his first professional save, after he turned in four scoreless innings on just one hit and no walks. Thursday’s game: Jacob Schlesener (0-2, 5.59) at West Virginia Black Bears, 6:05 PM Central time. Aided by one player’s historic day at the plate, the Cardinals defeated the Blue Jays by a 7-5 final score. Cardinals right fielder Kevin Woodall is our Player of the Day. Woodall launched three home runs – the first three-homer game of the 2018 Appalachian League. Woodall drove in six of Johnson City’s seven runs, with first baseman Dariel Gomez credited with the other. Colin Schmid surrendered four runs (two earned) in 4 1/3 innings in his start. 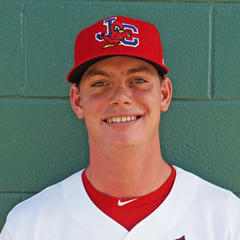 Following 2 2/3 innings of one-run relief from Juan Alvarez and Jacob Sylvester, Parker Kelly tossed 1 1/3 scoreless innings and earned his second win of the season as the Cards stormed back from a 5-3 deficit. Evan Sisk logged the final two outs and secured his fifth save. Thursday’s game: TBA vs. Bluefield Blue Jays, 6:00 PM Central time. Due to the unbalanced schedule, the Gulf Coast League Cardinals were off Wednesday and will face the 14-12 GCL Astros at 11:00 AM Central time on Thursday. The 18-7 Cardinals hold a 3 ½ game division lead. A dozen runs paired with quality pitching equated to a 12-2 Cardinals win over the Rangers in Wednesday’s home contest. 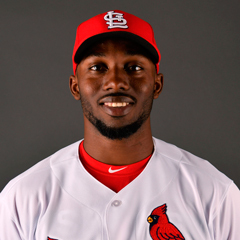 Cardinals left fielder Joerlin De Los Santos was 3-for-5 with a double and a home run, and center fielder Adanson Cruz went 4-for-4 with a triple and three runs scored. Infielders Yowelfy Rosario and Erik Pena batted in three runs each and are up to 22 and six runs batted in on the season, respectively. Martin Cordova started the game for the Cardinals and improved to 5-0 after his five-inning outing. Cordova allowed one run and fanned four batters. In three scoreless innings, Roy Garcia fanned six Rangers batters and earned his first hold. Dionys Rodriguez recorded the final three outs. Thursday’s game: TBA at DSL Rangers2, 9:30 AM Central time. A very prolific day at the plate resulted in a big win for the Cardinals Blue, which defeated the Yankees, 17-4, on Wednesday. Cardinals center fielder Carlos Soler was 3-for-5 with four runs batted in. Designated hitter Malcom Nunez drove in three runs, and left fielder Jean Selmo, first baseman Freddy De Jesus, and third baseman Ramon Mendoza each batted in a pair. DeJesus hit two doubles, and Nunez doubled and homered. The Cardinals collectively went 6-for-19 with runners in scoring position and scored eight of their runs with two outs. Starter Inohan Paniagua picked up his second win out of five decisions after turning in five innings of four-run ball. To round out the day, Josue Ramirez, Larimel Soriano, Ramon Fernandez, and Anthony Trompiz each logged a scoreless inning. The five relievers combined to strike out eight Yankees and walk only one. Thursday’s game: TBA vs. DSL Yankees, 9:30 AM Central time.